Boise, ID –-(Ammoland.com)- The Balios Lite Gen 2 Pistol is likely among the coolest modern firearms you will ever see. It is detailed with incredibly attractive machine work on the lower and upper receivers. Machining is the backbone of 2A armament and they detail every inch of every piece of metal on their firearms. Both the lower and upper receivers are CNC machined 7075-T6 billet, customized to the most minute details. The lower has a flared mag-well and a rear tension screw and a takedown spring retainer. The upper has M-4 feed ramps and a retained port door. The type-III anodized finish creates a slick and durable finish. 2A uses a bolt and mass carrier with 8620 machined steel through a QPQ process and a 9310 machined bolt. The pistol is smooth on every round and it balances well. The Gen 2 Balios Lite is built to deliver a tactical advantage on close and mid-range contact. The design is exceptionally lightweight, smooth and it turns on a dime. If you require quick decision making and maximum control, this AR pistol platform is a winner. The low recoil increases accuracy and the overall feel is light, stable and easy to control. Made in the great state of Idaho, every aspect of this firearm looks custom and it performs equally well. 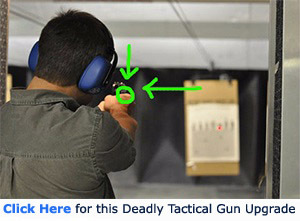 The trigger has an option for light or heavy pressure to fit your shooting style. Every shooter has a preference and you can practice in both settings to find the best option for you. If you’re shopping for a fast, light and highly effective AR pistol, the Balios Lite Gen 2 is the best firearm you will find. LOWER PARTS – 2A magazine catch, 2A through drilled titanium takedown pins, Mil-spec safety, and bolt catch. 2A RECEIVER EXTENSION – Mil-spec, 8 position 6061-T6, standard H2 buffer. LOWER PARTS – Mil-spec safety, magazine catch, bolt catch, through drilled 2A titanium takedown pins. 2A Armament: State of the Art Firearm Manufacturing, Find all your favorite lines at 2A-ARMS.com.